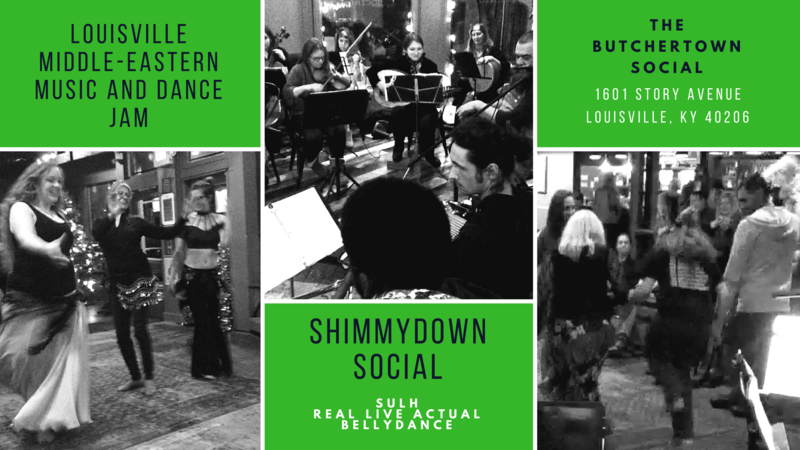 Sulh and Real Live Actual Bellydance hosts its Middle Eastern Dance and Music Social event at Butchertown Social on the second Saturday of each month! 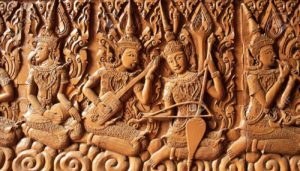 Dancers and musicians will be here to perform for you AND with you! A quick belly dance class will be given by guest dance teachers during the middle of the jam so you can be a part of the jam. Beginners and masters welcome. Bring an instrument or a hip scarf and shimmy your way to butchertown! Please join our Facebook group for updates about future Shimmydown Social events, other relevant topics, updates on tunes we’ll be adding, and to give your input. *Note to musicians: preference is for acoustic instruments and hand drums. We will not be amplifying anything other than our Oud (or other Ouds) which are relatively quiet instruments. Sulh will have charts for non-public domain tunes with them. There will be plenty of opportunities for improvisation within the tunes.